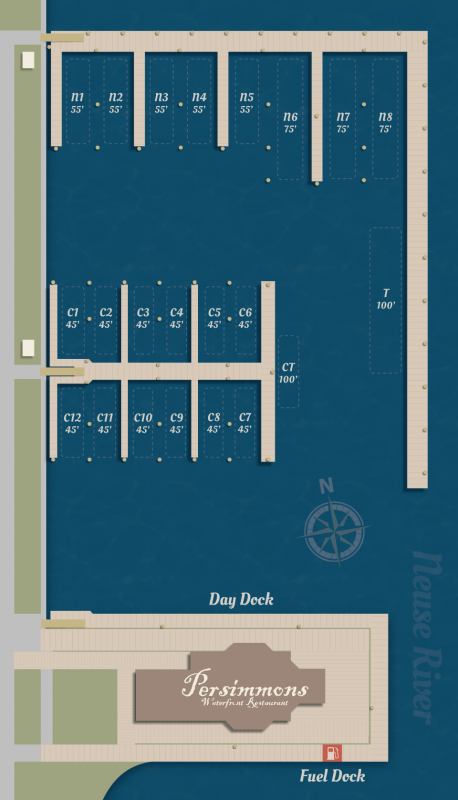 As other marinas in New Bern are addressing storm damage from Florence, we can accommodate you now as we have ample dockage available. 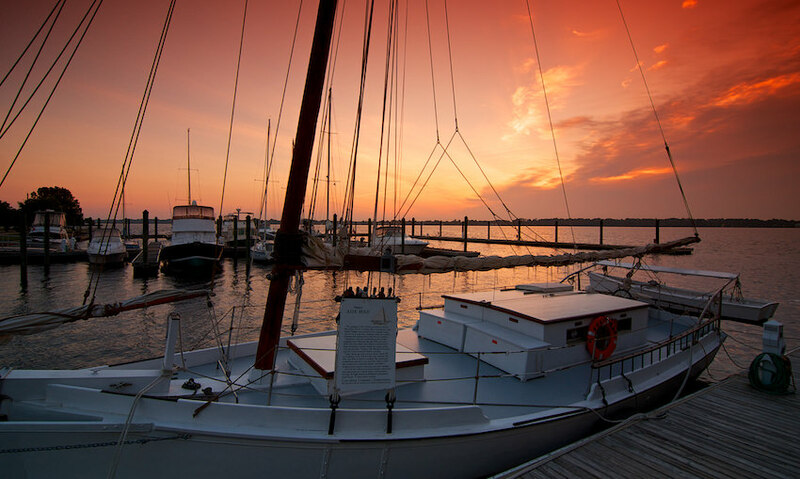 Galley Marina is the nicest marina in New Bern, designed to accommodate fully transient boaters with our walkable access to downtown. We’re conveniently located right on the Neuse River within a short stroll to historic downtown New Bern’s many amenities and charms. All of our slips have 30 and 50-amp electrical service as well as improved wi-fi reception. We also have private shower and restroom facilities for our guests in the nicest store on the waterway — the adjacent Galley Stores provisioning and gourmet store. 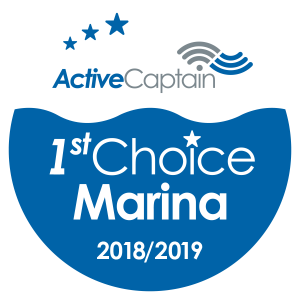 We’re proud to be a participating marina in the Active Captain boating community. We’re also a certified North Carolina Clean Marina. Our uniquely situated dockmaster’s office atop our store overlooks the Marina, providing a panoramic view downriver of more than five miles. Please hail us on channel 16 or call at (252) 633-4648 and someone will always greet you at the dock. Our dockmaster’s office also serves as the office for Neptune Yacht Sales. We are in the transient marina business which means we’re interested in providing everything you need, including fuel. Because Galley Stores also sells fuel for autos, it allows us to be very competitive on price when providing boaters a large volume of fuel. Call for volume discounts on purchases over 500 gallons. If your boat needs repairs or other work, there are nearby boatyards. Bridgeton Boatworks is directly across the Neuse River in eyesight from our Marina and Duck Creek Marina‘s boatyard is just south of us once you go under the Hwy. 17/55 bridge. Galley Marina has partnered with online marina reservations company Dockwa to make reserving a slip with us easy and quick. Dockwa lets you use your mobile device to instantly make a reservation, handle the payment and get a confirmation — all in a couple of simple steps. 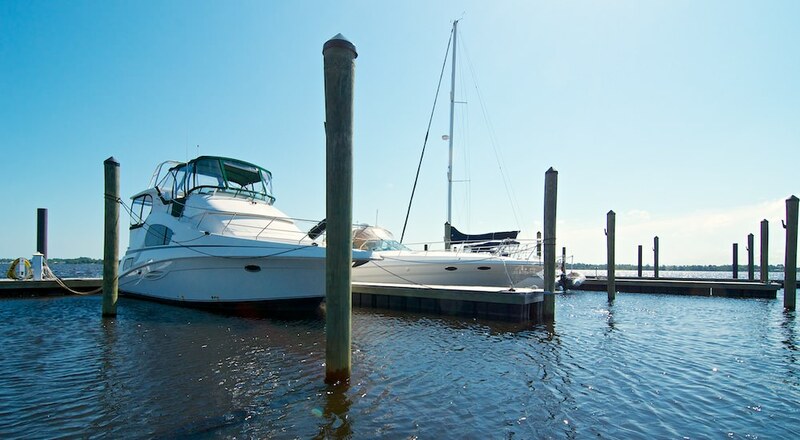 Just click on the button to get started on a slip reservation here at Galley Marina – so you can spend time boating and enjoying what Galley Stores and New Bern have to offer. Reserve your slip today! We’ve upgraded and enhanced our Wi-Fi service for our marina’s boating customers. Stop by Galley Store to get the new log-in information. These are Galley Store Marina’s 25 slips — starting at 45 feet going up to 100 feet; fuel and in-slip pump-out service are available. Designed for the transient boater, this beautiful river location offers private showers and restrooms, the gourmet Galley Stores shop and Persimmons Waterfront Restaurant — all on site. Call (252) 633-4648 for reservations. 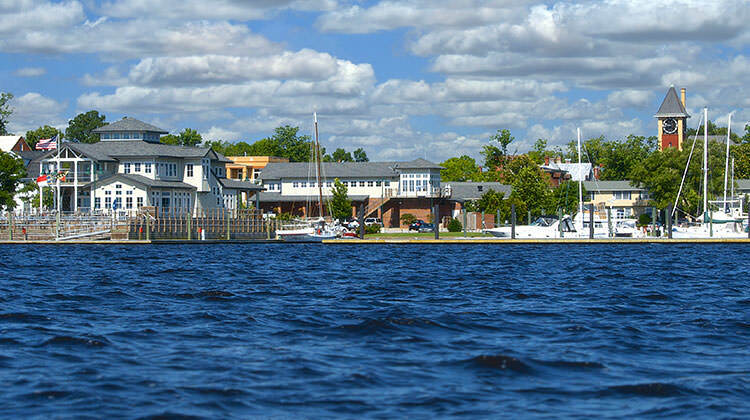 There are a limited number of annual slip rentals for boaters who want convenient access to downtown New Bern’s restaurants, boutiques, and family events. Contact us for more information. New Bern is set between two rivers (the Neuse and Trent rivers) with the seashore only 35 miles away. There is something for everyone — saltwater fishing in the Neuse for speckled trout, striped bass, blue fish, Spanish mackerel, flounder. Then turn the corner into the Trent River with freshwater species like bass, crappie, and bluegills. Off shore is everything from king mackerel, blue marlin, tuna and bluefish. New Bern can be a fisherman’s delight for a visit or as a place to live.